In 1933, during a hiatus between studio contracts and filmmaking, Josef von Sternberg traveled to Germany to explore establishing Marlene Dietrich and himself at UFA, the studio where the two had made The Blue Angel three years earlier. Just as the director was returning to the U.S., recently appointed Reich Chancellor Adolf Hitler suspended the German constitution and soon began revoking the citizenship of Jewish artists and scholars; not much later came the burning of books. Back in America, von Sternberg, an Austrian Jew, and his star signed on once more with Paramount where the director's new contract gave him almost complete autonomy over his films. "Based on a diary of Catherine II," von Sternberg’s re-creation follows the life of innocent young princess Sophia of Germany who is summoned to the Russian court to wed Grand Duke Peter (Sam Jaffe), a lunatic. Eventually adept at palace politics, the disillusioned royal wife (now called Catherine) becomes increasingly detached and power-obsessed, ultimately and victoriously seizing the throne in a coup. Along the way, she also becomes a powerful seductress whose countless lovers include a great number of soldiers in the Russian Army. Von Sternberg’s re-imagining of events was so opulent and unusual that audiences and critics may have been put off by its byzantine iconography, Grimm’s Fairytale-esque characters and overt eroticism. The Scarlet Empress was unlike any of the many other Hollywood-produced historical spectacles of the era. Critic Robin Wood suspected that "ironic tragedy and a kind of macabre farce" were so closely bound within the tone of the film that audiences and critics simply weren't ready for it. The film begins in turn-of-the-century Spain at the outset of a carnival. Arriving on the scene is exiled freedom fighter Antonio Galvan (Cesar Romero) who flirts with Concha Perez (Dietrich), the local femme fatale. A tryst is arranged but before they meet Galvan encounters old friend Don Pasqual (Lionel Atwill) who relates in humiliating detail, told in flashback, how his enchantment with Concha ruined him. Pasqual makes the younger man promise not to see Concha again but Galvan and the woman do meet and this sparks a duel between the two men. Concha and Galvan run away together but Concha proves to be...capricious. Dietrich portrays Concha, the spoiled and wily coquette, with an operatic flamboyance reflected in every gesture and inflection, in her makeup, costumes and coiffures. 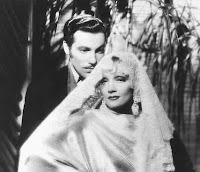 Lionel Atwill is at his best, and most notice that his performance as Pasqual is an artful take on von Sternberg himself. Cesar Romero is charming as the younger fool; Edward Everett Horton is a droll choice as the local governor. 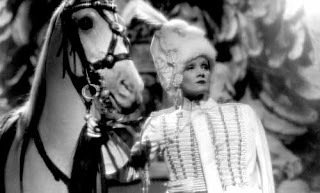 As the production was ending, von Sternberg wrote a note to Dietrich about their final film, "My parting gift to you will be the greatest "Dietrich film" yet. In it, I give you all my talent. 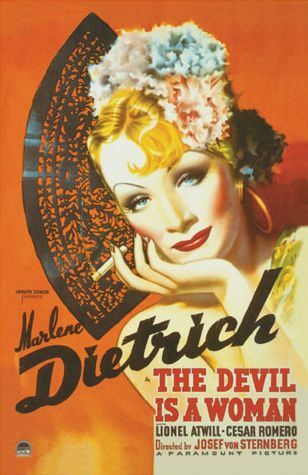 You will see the ultimate Dietrich and it will be your favorite of our seven films." Dietrich, whose screen goddess persona became more fixed and formal (her daughter observed that her mother's image was no longer recreated but simply perpetuated), managed to rebound. In her autobiography Dietrich wrote that, in 1939, producer Joe Pasternak called her to say he was willing to take a risk and make a picture with her (she was by now "box office poison"). When told it was a Western, her instinctive reaction was to turn it down. 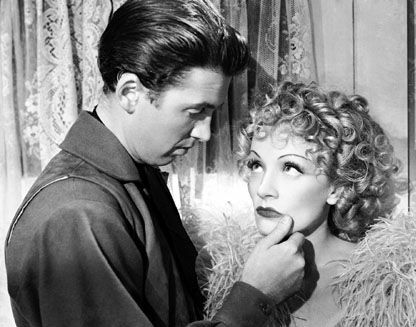 However, she wrote, “Josef von Sternberg advised me to take the offer.” Her comeback in Destry Rides Again (1939) was one of the most dramatic in Hollywood history and she went on to become an enduring legend. ﻿Von Sternberg directed only a handful of films in his remaining career. 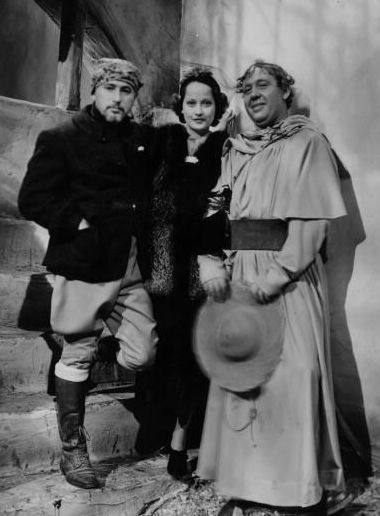 Though a 1937 production of I, Claudius, starring Charles Laughton and Merle Oberon was promising, it was never completed; The Shanghai Gesture (1941) is the best known of his post-Dietrich films. The director's final film, Ana-ta-han (1953) was made in Japan, in Japanese with the director's own voice providing English narration. Josef von Sternberg was fortunate enough to be "rediscovered" during his lifetime. The Devil is a Woman had become a "lost film." Pulled from circulation in 1935 under pressure from the government of Spain, all prints were thought to have been destroyed. But in 1959 the Venice Film Festival screened von Sternberg's own print; both film and filmmaker were showered with accolades. He became the subject of documentaries, wrote his idiosyncratic autobiography, Fun in a Chinese Laundry, and lectured on film at UCLA. Today his work is regularly studied in film programs and screened at festivals and retrospectives around the world. Released this August by Criterion,﻿﻿ 3 Silents by Josef von Sternberg - the set includes his signature work of the late silent era - Underworld (1927), The Last Command (1928) and Docks of New York (1928). Eve, Part III is one of the best pieces you have ever written, and you have done some good ones! Your descriptions of von Sternberg's filming are as lush as the films themselves. What a fascinating story about these two incredibly talented artists. I have really enjoyed this series of articles, and you have made me want very much to see The Devil is a Woman and The Scarlet Empress. I really enjoyed reading your last installment of this series. This pair's working and personal relationship is a marvel. They remind me of Penelope Cruz and Pedro Almodovar--the muse and the maestro. Dietrich and con Sternberg made some great films together. ok!! i give up!! at least THE SCARLET EMPRESS is campy and fun compared to those awful GEORGE ARLISS bio-pics..and the CRITERION collection of the 3 silents sounds great! !..baroque von S at his best!! Becky, I hope you will watch THE SCARLET EMPRESS and THE DEVIL IS A WOMAN again soon. I think their last film (DEVIL) is their best. 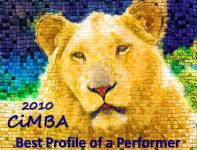 Kim mentions the muse and the maestro, a unique strain of symbiosis, I think. I did fairly deep research for this blog, and found the von Sternberg/Dietrich relationship completely fascinating. And complicated. But it is the artistic result that most interested me. BAUDELAIRE is close (except for the ABSINTHE & OPIUM)..i see your point but "charlie" was the E.A.POE of FRANCE..dark..moody..pessimistic..BAROQUE is an oft used phrase of pundits to describe the style of STERNBERG!! and THE SCARLETT EMPRESS is "camp" compared to the other screen depictions of CATHERINE THE GREAT...even ETHYL BARRYMORE.."CAMP" in the sense of not so seious and dreary..like a lark!!! Dark and moody are within the realm of my taste...pessimistic, not so much...fatalistic? I tend to see links between von Sternberg and Ophuls and, to some extent, Wong Kar-Wai (I'm thinking IN THE MOOD FOR LOVE)- the sense of intimacy and an immediate sensuality...though neither Ophuls or Wong are macabre. Eve, I have really enjoyed reading your wonderful blog. I will add the films: The Devil is a Woman and The Scarlet Empress, to my ever growing list of "gotta see" films. I personally enjoy THE SCARLET EMPRESS as a sort of ecstatic visual experience. I can't say that I watch it in terms of narrative (beyond the visual) or history. And so I tend to see Sam Jaffe as a kind of animated gargoyle (many inanimate gargoyles populate the films visual layers) rather than Grand Duke Peter. While I don't believe anyone else could have advanced Dietrich's career/image/impact as von Sternberg did, it's possible the director may have gained a different, perhaps greater, reputation had he not collaborated so long with Dietrich. But I'm not unhappy that he did.